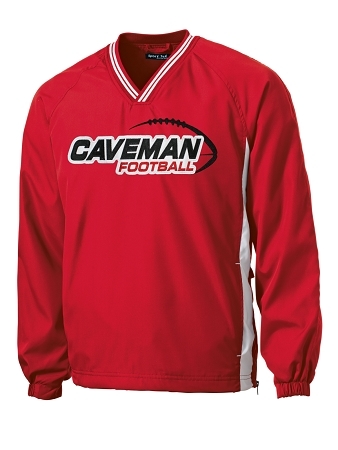 Cavemen Football - Sideline V-Neck Wind Shirt Featuring two color tackle twill applique with heavy embroidered design this high quality item can be compared to the expensive collegiate and professional apparel sold in retail stores. This soft, 100% polyester jacket has a jersey lining, draw cord, left side seam zipper and mesh inserts for breathability. 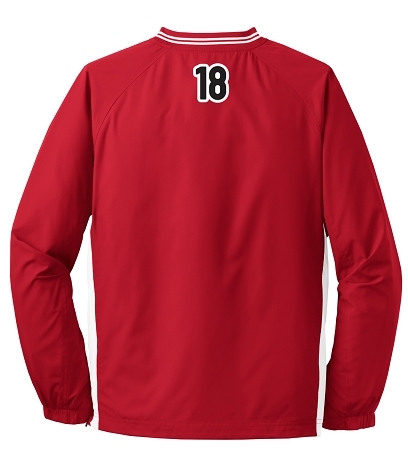 Personalization Options: Player Number applique embroidered on back collar.